Now, a market is opening up for automotive accessory makers to offer a solution to the problem, and make it easy and affordable to bring Google Assistant, Amazon Alexa and other digital voice assistants into your vehicle, regardless of how high-tech is. Here is a list of the three best affordable gadgets to make your car instantly smarter. A smart addition to your 'dumb' car would be the Roav Bolt. It was designed along with Google to bring Google's voice assistant directly to your vehicle. Just plug the device into your cigarette lighter and let Google help you with hands-free calling and messaging and navigation. With the command “OK Google”, you can play your favorite song or podcast, enable navigation, read texts, make calls, set reminders, and even check your schedule. Voice notifications will also keep you up to speed on important messages and reminders while you drive. All you have to do is download the Google Assistant app and pair it with your Bolt. There is also noise cancellation for clear voice commands, Bluetooth and AUX connectivity and dual USB-ports for rapid mobile device charging. It supports cigarette lighter sockets from 12V to 24V. The Roav Bolt is brand new, and whilst you'll have to wait until April 2019 before you can get your hands on one, pre-orders are open now. The Roav Bolt costs $49.99 in the US, and the first 200 buyers will get a free Anker cable. If you are more of a fan of Amazon Alexa than Google Assistant, you'll want to pick up the Roav VIVA Pro instead. Design-wise, it's a bit more attractive than the Bolt, and functionality is just as good. The VIVA Pro gives you Amazon's voice service with complete voice control in your car. You can ask Alexa to read an Audible book, shop online, play music, and more. 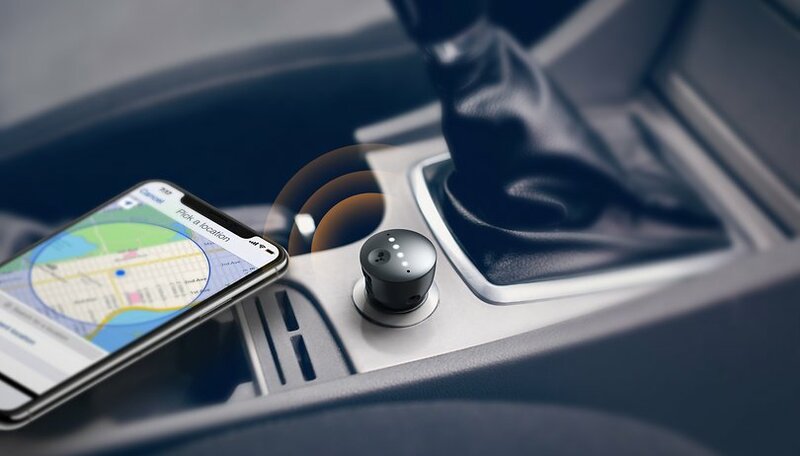 In addition, there's also support for CarPlay, Android Auto and AUX connectivity. There are also two USB ports for quick charging your smartphone. It costs £49.99 in the UK and is available now. The JBL Link Drive is a similar product to the Anker Roav Bolt. The plug-in brings a Google Assistant microphone into your car via the 12V cigarette lighter. The Link Drive connects to your in-car stereo via Bluetooth or you can plug in an AUX cable if your motor doesn't have a way to wirelessly connect it. It can also remember multiple phones, which is useful if more than one driver uses the car on a regular basis. The Link Drive packs in two noise-canceling microphones to ensure it has no problems picking up your voice. There's also something JBL is calling 'Radio Barging technology', which allows the Link Drive to shut up the radio to make incoming calls a priority. There's also a multi-function button that will begin listening with a short press, for those of you who don't like to constantly shout "OK, Google" in the car. The JBL Link Drive costs slightly more than the Anker Roav Bolt at $59.95. It is due to start shipping in spring 2019. Alexa already helps you simplify and organize your life at home – now you can take her with you on the go with Alexa Auto, at least that's the line from the e-commerce giant. Like the Google Assistant devices above, Echo Auto is designed to bring Alexa into your car to help you play music, get directions, place calls, listen to audiobooks, and even control your smart home. A major selling point for this over the Roav Bolt or the JBL Link Drive is the integration with Amazon services such as Music Unlimited and Audible. The device has no fewer than eight microphones inside and its far-field technology can hear you over music, A/C, and road noise. Alexa can connect to supported apps like Google Maps, Apple Maps and Amazon says that Waze support will be available later this year. Rather than sit in your cigarette lighter, Echo Auto sits on top of your dashboard and is connected to a power supply via wire. In terms of availability, its swings and roundabouts for the Echo Auto. Firstly, there's the price. The list price is $49.99, putting it in direct competition with the Roav Bolt, but it is currently listed on Amazon for just $24.99. There is a massive catch though, the Echo Auto can only be purchased by invitation at the moment. However, if the rest of the Echo speaker range is any indication, these things will available for a steal at certain points in the year, such as Black Friday, when the full launch is finally realized. Can I buy something similar to put Siri into my car? The short answer is no, you can't. It is not unusual for Siri to lag behind Google Assistant and Alexa in terms of wider applications and support for third-party products. Apple does, of course, have its own CarPlay service, but it's limited in terms what it can do compared to its competition. There is a strong chance Apple will come out with a car accessory in the near future, but we'll have to wait and see. After all, these products are still quite new and are only just starting to be widely available. Owners of older vehicles should not be left behind by smart car technology. Do you know a product that can make your car instantly smarter? Let us know in the comments below. 3 gadgets to do what your phone already does.